This study aims to identify perceived impacts of Health Impact Assessment (HIA) on decision-making, determinants of health, and determinants of health equity and outline the mechanisms through which these impacts can occur. The research team conducted a mixed-methods study of HIAs in the USA. First, investigators collected data regarding perceived HIA impacts through an online questionnaire, which was completed by 149 stakeholders representing 126 unique HIAs. To explore in greater depth the themes that arose from the online survey, investigators conducted semi-structured interviews with 46 stakeholders involved with 27 HIAs related to the built environment. This preliminary study suggests that HIAs can strengthen relationships and build trust between community and government institutions. In addition, this study suggests that HIA recommendations can inform policy and decision-making systems that determine the distribution of health-promoting resources and health risks. HIA outcomes may in turn lead to more equitable access to health resources and reduce exposure to environmental harms among at-risk populations. Future research should further explore associations between HIAs and changes in determinants of health and health equity by corroborating findings with other data sources and documenting potential impacts and outcomes of HIAs in other sectors. The original version of this article was revised: The correct name of the penultimate author of this article is “Arielle McInnis-Simoncelli”, not “Arielle Mc-Innis Simoncelli” as presented in the article as originally published. A correction to this article is available online at https://doi.org/10.1007/s11524-018-0305-z. The authors acknowledge the invaluable contribution of the Expert Panel, which included Kim Gilhuly, Dr. Darcy Freedman, Dr. Fiona Haigh, Dr. Ben Harris-Roxas, Dr. Theresa Chapple, Stacey Millett, Dr. James Macinko, Dr. William Nicholas, Maggie Germano, Julia Coffman, Dr. Pennie Foster-Fishman, Dr. Carlos Martin, and Dr. Diana Charbonneau. The Expert Panel provided critical input into the design and execution of this study, as well as the interpretation of findings and review of this manuscript. The authors also acknowledge the contribution of other Harder+Company Community Research and Pew Charitable Trusts team members, including Rebecca Morley, Dr. Diana McDonnell, Lidia Monjaras-Gaytan, and Dr. Joelle Greene. McGovern L, Miller G, Hughes-Cromwick P. The relative contribution of multiple determinants to health outcomes. Health policy brief. Health affairs. 2014. Accessed:https://www.healthaffairs.org/do/10.1377/hpb20140821.404487/full/healthpolicybrief_123.pdf. Accessed 17 Jan 2017. Morley R, Lindberg R, Rogerson B, Bever E, Pollack KM. Seven years in the field of health impact assessment: taking stock and future directions. Chron Health Impact Assess 2016;1(1). https://doi.org/10.18060/21352. Bhatia R, Farhang L, Heller J, Lee M, Orenstein M, Richardson M, Wernham A. Minimum elements and practice standards for health impact assessment, version 3. 2014. Accessed: https://hiasociety.org/resources/Documents/HIA-Practice-Standards-September-2014.pdf. Accessed 17 Jan 2017. Bourcier E, Charbonneau D, Cahill C, Dannenberg A. Do health impact assessments make a difference? A national evaluation of HIAs in the United States: supplement. Seattle: Center for Community Health and Evaluation. 2014. https://www.rwjf.org/content/dam/farm/reports/issue_briefs/2014/rwjf409204. World Health Organization. 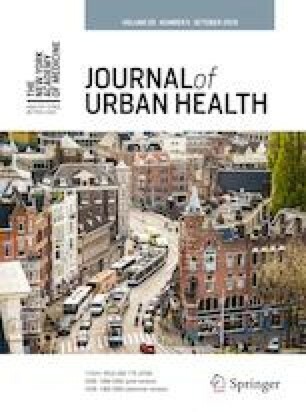 Environment and health risks: a review of the the influence and effects of social inequalities. 2009. Accessed: http://www.euro.who.int/__data/assets/pdf_file/0020/115364/E93037.pdf. Accessed 17 Jan 2017. World Health Organization. Constitution of the World Health Organization. 45th ed. BasicDocuments; 2006. p. 1–18. Accessed: http://www.who.int/governance/eb/who_constitution_en.pdf. Accessed 6 Sep 2016.